Handy for everyone in the house, from baby to mom/dad and grandma/grandpa. 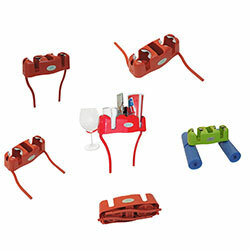 Get rid of spills, lost remotes, damaged sunglasses, and ruined cell phones. 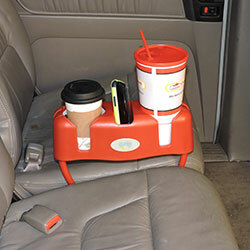 I looked far and wide for the perfect drink holder, and I haven't seen anything that comes close to the Cupsy. 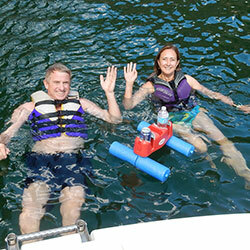 Our patented design allows you to use the durable Cupsy just about anywhere. Simply detach and reposition the legs for an endless number of uses. Everything you need to know about the Cupsy in 15 seconds. Awesome product. Works as advertised and is perfect for a "family" couch with no center divider. May even help your marriage by having to sit closer and not fight over the end chair!! 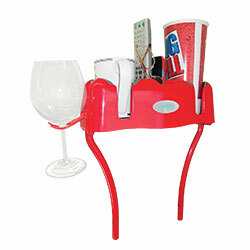 Securely holds everything: coffee cups, wine glasses, go cups, cell phones, remote controls, eyeglasses, and much more! See what our fans say about Cupsy. I bought this for the sofa & loveseat in our RV. An excellent product & works extremely well. Great, use it daily! 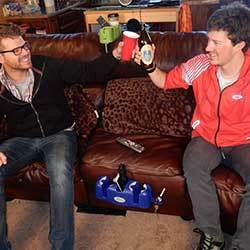 Works great with all cup sizes, including the giant super sized cups. Now that I'm used to this little guy, I can't imagine couch life without it!